Guest Talk: "ICT Policies and Regulation: Is India Different from Other Countries?" 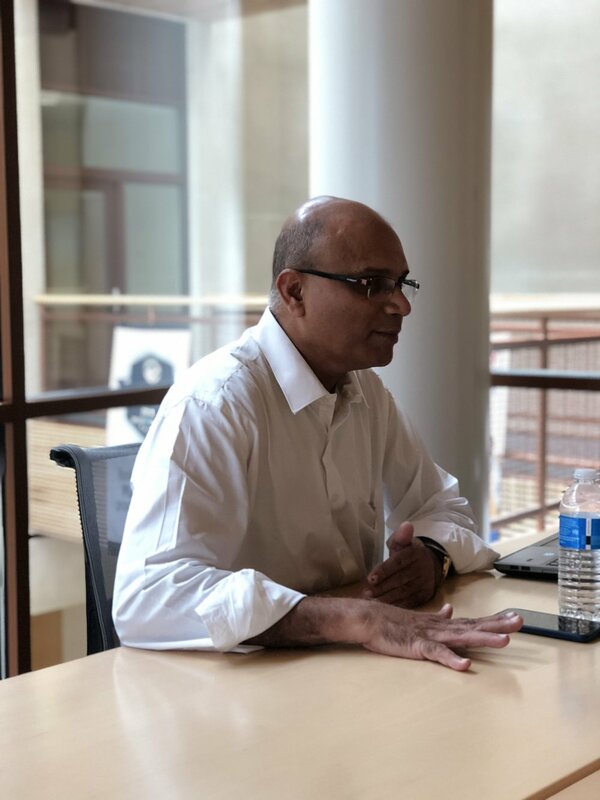 The AU Internet Governance Lab will host a guest talk by Dr. V. Sridhar, Professor at the Centre for IT and Public Policy at the International Institute of Information Technology Bangalore (IIIT-B) in India, entitled "ICT Policies and Regulation: Is India Different from Other Countries?" on Friday, July 13, 2018 from 11:00am-12:30pm in the AU School of International Service Building Room 260. Hyper competition, technology leapfrogging, and exponential adoption assisted by favorable regulation have propelled the growth of Telecom and Internet penetration in India. Mobile subscriber base in India is about 1.1 billion and that of broadband subscriber base is 400 million, making it the second largest ICT market in the world next only to China. However, ICT policies and regulation have seen varied trends and are continuing to evolve as in many developing countries. This talk will focus on the following areas: (i) Radio spectrum management (ii) Net Neutrality regulation (iii) Regulation of the App Economy and (iv) Privacy Regulation. The tenor of policy and regulatory landscape across the above areas in the Indian context are outlined along with the embedded Institutional framework for deployment. Passing comparisons with China and the United States, the other two large ICT markets, are also provided. Dr. V. Sridhar is Professor at the Centre for IT and Public Policy at the International Institute of Information Technology Bangalore (IIIT-B), India. He has published many articles in peer-reviewed leading telecom and information systems journals. He is the author of two books published by the Oxford University Press: The Telecom Revolution in India: Technology, Regulation and Policy (2012), and The Dynamics of Spectrum Management: Legacy, Technology, and Economics (2014). He is authoring his third book titled Emerging ICT Policies and Regulation: Roadmap to Digital Economies in contract with Springer Nature publications. Dr. Sridhar has taught at many Institutions in the USA (AU in 1998-89), Finland, New Zealand and India. He was also a visiting scholar at Aalto University, Finland and was the recipient of Nokia Visiting Fellowship. Prior to joining IIIT-B, Dr. Sridhar was a Research Fellow at Sasken Communication Technologies, India. He has been a member of Government of India committees on Telecom and IT. He has written more than 250 articles in prominent business newspapers and magazines relating to telecom regulation and policy in India. Dr. Sridhar is very active in organizing and chairing conferences on telecom regulation and policy and has received funding from different sources for his research projects.